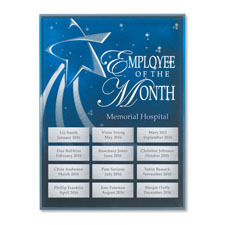 Looking for an easy, all-inclusive way to provide motivation and recognition for your most valuable employees? 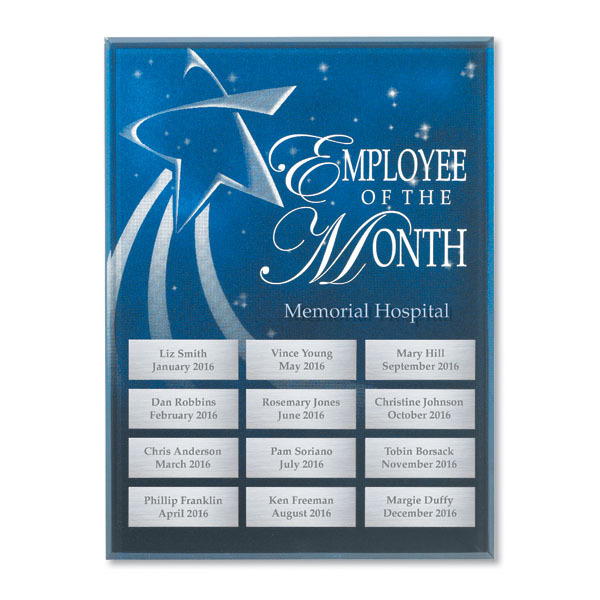 Our Rising Star Employee of the Month Program features a lustrous acrylic plaque with a beveled front, highlighted by a dramatic shooting star design. It’s the perfect solution for your company’s employee of the month award. Check out the Rising Star Employee of the Month Premium Program that includes an engraved award for each month's winner -- click here.